Happy Thanksgiving Ya'll! There is so much to be thankful for on this beautiful day! I'm thankful for each one of you that takes time to visit the blog, my TPT store, and all things social media. Thank YOU for your support over the years! Today I wanted to share my experiences with a few products I had seen on the internet, but never had the opportunity to try out until now...Kwik Stix and Pencil Grips. 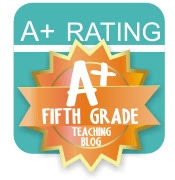 They are a MUST have when working with kids in your classroom or with your own kids at home. The Pencil Grip company sent me a few samples to try out and share with you all. Below are some pictures of the paint sticks and pencil grippers. I knew Kwik Stix were fabulous for mess free art projects, but wanted to see how they could be used on the academic side of the classroom. The children I worked with looked forward to our math intervention time because they were going to the have the opportunity to use something their peers didn't get to use. Can you say, motivated kiddos?! I've never seen a student work so hard for the "reward" of getting to use the paint sticks to color in ten frames, solve math problems, and use a number line. It was MAGICAL! Yes, kids can use markers or crayons to do the same thing, but then you lose the magical component. Kids like to have things others don't...human nature for sure, and it's a huge motivator to do things that aren't so fun. My advice to keep the magic in the stix is to pull them out randomly. The beauty of these paint stix is the fact it's real tempera paint that doesn't bleed through paper...#winning and dries in less than 90 seconds. No need to find a drying space in your classroom or at home for all the artwork! Simply perfect for anyone who is a slight control freak like yours truly! 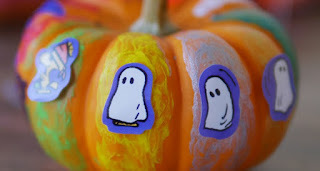 ;) If you go on Pinterest, you will find several cute art projects you can do (painting pumpkins is one of my favorites). The other product I wanted to share with you are the pencil grips! I have a few kiddos with handwriting so atrocious you can't read it! Before the pencil grips I would suggest to parents Handwriting Without Tears; however, little did I know...a simple change in gripping a writing tool would correct most of the concerns. I'm loving the gradual release design of the grippers. The grippers meet your kid where they are currently at and get them to where they need to be. second try..."feels a little better"
third try..."feels just 'write' ;)"
Now you are probably wondering where you can get these magical tools for the classroom or home? There are a few places you can go starting with online at Target, Amazon, and ThePencilGrip. I'm pretty sure you will start seeing them inside Target stores as well, so next time you're there check out the arts and crafts section to grab you a set. There are so many fun sets in thick and skinny sizes (metallic, neon, and classic colors). Stayed tuned for future posts on how I use the grippers and stix...Happy Thanksgiving friends! Enjoy all of the wonderful blessings in your life!